At 1st Class Medical we love patient feedback and want to do everything we can to make our patient’s lives easier. 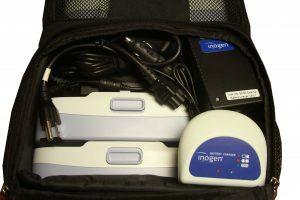 Many have said that they love their Inogen One G3 but that carrying the machine for long periods of time can be tiring. Carrying extra weight not only requires more energy but puts a strain on your joints and back. To solve this problem we created a new rolling backpack custom-made for the Inogen One G3! Totes Everything You Need for A Day of Running Errands or a Long Vacation! Features a waist belt to distribute weight more evenly over the hips for greatest efficiency. 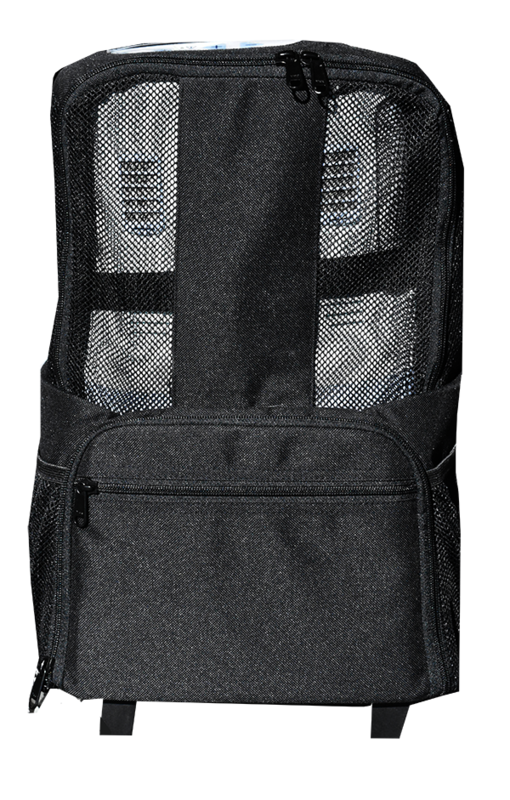 This backpack was custom designed for the G3 and the active user on the go. If you’re navigating through a crowded area you can throw the pack on your shoulders for convenience. When shopping or strolling, the straps and waist belt tuck quickly and easily away. One touch of a button releases the variable height, telescoping handle. The bag offers hands free stability for convenience when shopping, or even working around the garden. No Need to Carry Another Bag for Your Accessories! Everything you need fits right in the bag! All Inogen One G3 Controls are fully accessible without removing the unit. 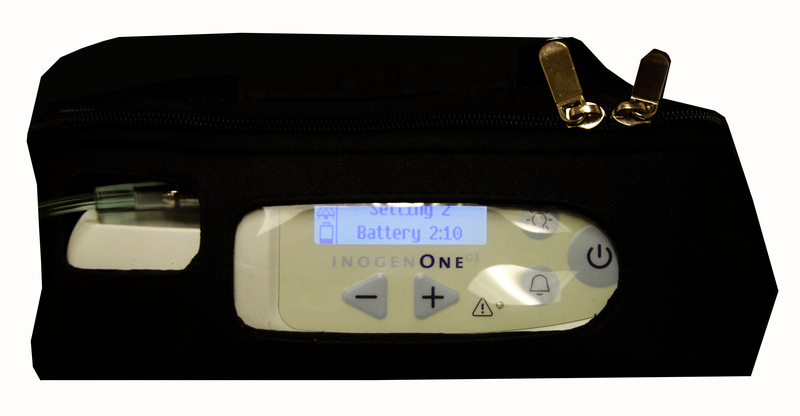 No need to remove the unit from the bag to change setting, plug in the cannula, or attach the charger! There are openings for all of these functions! 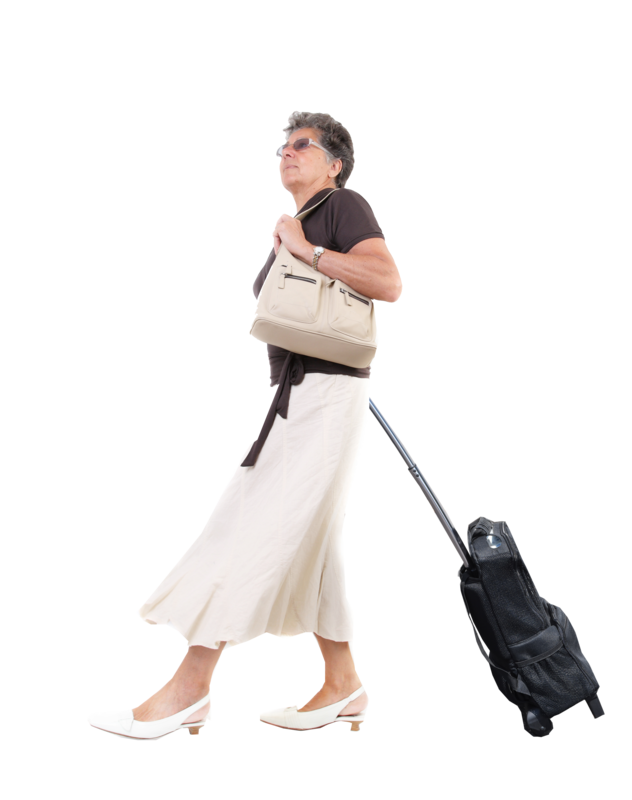 “1st Class Medical also has a rolling backpack that I just absolutely love. With the rolling backpack, no sore shoulders or sore back. 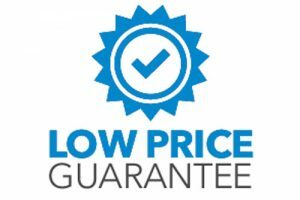 It is a great product and I am truly getting my money’s worth. Use it almost all of the time, in the house and out. Went to the zoo with it last week! Myra G.
These bags have been custom designed by us and are being produced exclusively for us. More are on the way in the spring but for right now we have a limited quantity available so please don’t wait! Watch A Full Demonstration of All its Features!